Despite a catalog of serious infrastructural constraints, passenger traffic through the international airport of Zaporizhia – located 432 km southeast of Ukraine’s main hub, Kyiv’s Boryspil – continues to grow remarkably rapidly. A new 400-passengers-an-hour terminal, which is planned to be opened in late 2019, and the highly anticipated refurbishment of the runway, will allow Zaporizhia to move up the league of Ukraine’s leading regional airports. It has not been a straightforward climb. For example, the launch of the 2016 summer schedule started with a conflict. On March 27, two flights – a Motor Sich Airlines service to Minsk and a Ukrainian International Airlines (UIA) flight to Kyiv – were both scheduled to depart at 6:45 a.m. 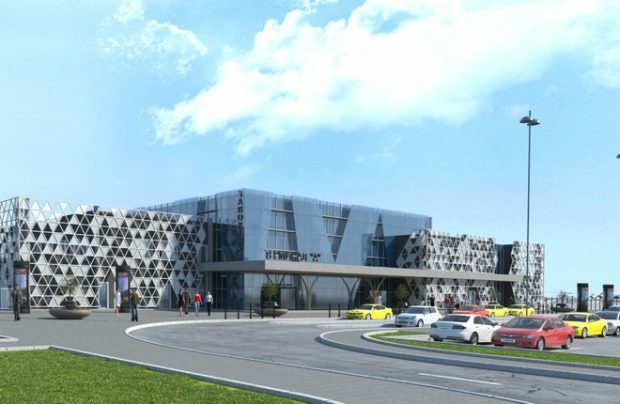 But the small passenger terminal can serve only one domestic or international flight at a time through the one and only departure hall, meaning the timetable had to be reconsidered – and the administrators of International Airport of Zaporizhia (the operator of the municipally-owned airport) began to scratch their heads over the much-needed terminal reconstruction plans. 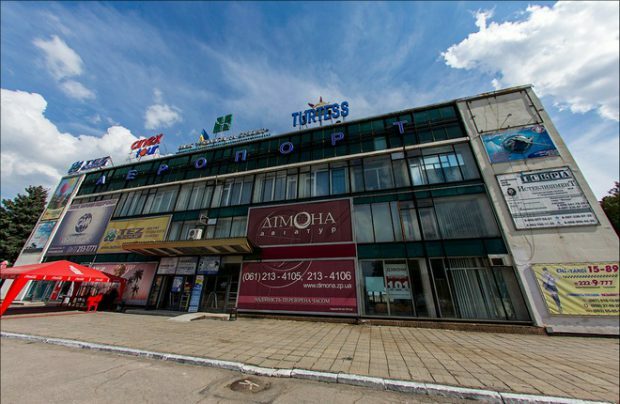 Zaporizhia doubled its passenger traffic in 2016. The 2017 figure is expected to have grown by a further 30%, and the main reasons for such an impressive development of the local air transport market are multiple. First, along with Kharkiv and Dnipro airports (the latter known as Dnipropetrovsk prior to 2016), Zaporizhia has been turning into one of the main gateways serving eastern and southeastern parts of Ukraine. In doing so, the airport has enlarged its catchment area by several million passengers. The population of Zaporizhia Region itself is about 1.7 million. Second, for several years in succession Zaporizhia has been challenging the dominance of rival Dnipro. The two airports virtually cover the same market and compete for the same passengers. The cities are only 85 km away from each other (a one-hour journey by car), while each is located in a densely populated industrial agglomeration (the population of Dnipropetrovsk Region exceeds three million), with relatively high standards of living and with increasing potential demand for air transport services. But Dnipro, the first and so far only privately-owned Ukrainian airport, has been losing passenger traffic numbers for three years running. This is explained by the fact that access to the market has been limited because the airport and its basic carrier Dniproavia are parts of the same business. While many rival airlines could not launch operations to Dnipro, the base carrier and its affiliates were instead launching the services. It is anticipated that, in the future, passenger traffic numbers may plunge even further as Dniproavia’s air operator’s certificate has expired and the carrier ceased operations last year. A third reason concerns new services launched from Zaporizhia: Motor Sich is now serving Minsk (in 2018, Zaporizhia-Minsk flights will also be operated by Belavia; they are currently carried out under a code-sharing agreement with Motor Sich), whereas AtlasGlobal Ukraine (an arm of Turkey’s AtlasGlobal), Pegasus Airlines, and Turkish Airlines have also launched services between Zaporizhia and Istanbul. It transpires that the five additional destinations (Istanbul, Kyiv, Antalya, Sharm El Sheikh, and Minsk) represented 94% of the airport’s passenger traffic in January-October 2017. Stopover flights via Kyiv and Istanbul provide transit traffic for both domestic and international flights, while flights via Minsk provide connections with Moscow and other Russian cities, as well as holiday destination charter services to Antalya and Sharm El Sheikh. The main contribution to passenger traffic growth at Zaporizhia is not coming from locally based carriers but rather from other airlines. Local operator Motor Sich performs only two flights: to Kyiv (Zhulyany) and to Minsk. The airline operates Antonov An-24, An-140, and An-74 aircraft, as well as Yakovlev Yak-40s. Further development of the airport’s destination network will most likely be determined by the activities of foreign airlines, in particular by LCC operations Western Europe and by feeder services to hub airports. In the low-cost segment this could possibly be Wizz Air, because the Hungarian carrier is looking to launch two flights to nearby Kharkov from Dortmund (Germany) and Katowice (Poland) in 2018. Among other network carriers, Poland’s LOT is showing some interest in Zaporizhia: in 2016-17 it was actively developing its position in the Ukrainian market with a special emphasis on regional services. There is also the possibility that Middle Eastern carriers, such as Air Arabia and flydubai, will also enter the market. The latter currently services only two Ukrainian cities, Kyiv (both airports) and Odesa, but has also indicated interest in both Kharkiv and Dnipro. To develop its air transport services and successfully compete with nearby rival airports, Zaporizhia needs to update its geriatric infrastructure. The existing passenger terminal, which was constructed in 1965, has never undergone a major renovation. Consequently, as of today, it neither stands up to the technical rigors of processing passenger traffic, nor is it able to provide modern-day airline passengers with the minimum levels of service and convenience they require. Construction of the new passenger terminal started in November 2017. The modern two-story building, with a floor space of some 12,000 square meters, is expected to become operational in Q4 2019. At designed capacity of up to 400 passengers per hour, the overall cost of the project is projected at 530 million hryvias (US$18.5 million at the current exchange rate). The renovation project is 100% financed by the municipal budget. The airfield infrastructure at Zaporizhia also urgently requires modernization. Ukaeroproyekt, the state-run research institute for civil aviation, estimates this part of the project will require a comparable amount of 528 million hrivnyas. The scope of work includes resurfacing the 2,500 х 42m runway and the taxiways, as well as installing new lighting equipment. These works were initially supposed to be accomplished ahead of the UEFA Euro 2012 soccer tournament, but were suspended after Dnipropetrovsk lose its bid to be put on the event host city list. The Zaporizhia infrastructure renovation project is now part of the national airport development programme through 2023, although no sufficient funding has been provided in the national budget. Ukrainian airports can roughly be split into three categories. The Kyiv hubs of Borispol (8.6 million passengers in 2016, up 19% from 2015) and Zhulyany (1.1 million passengers in 2016, up 19% up; 1.85 million in 2017, +64.2% year-on-year) have their own metropolitan heartlands. Among other smaller regional airports there are a few viable ones such as Lviv (738,000 passengers, +29%), Kharkiv (600,000, +60%), Odesa (one million, +9%), partially Dnipro (275,000 passengers in 2016, down 21% year-on-year, and 277,000 in 2017, up 2.8%). The rest of Ukraine’s airports are literally struggling to make ends meet. With modest resources at its disposal (and aided by some notable mistakes by its main competitor), Zaporizhia has been demonstrating quite impressive results for the past several years. Expectations are high for the gateway to continue to grow and move eventually to the next level. Much will depend both on its management (a modern strategy, attraction of new carriers, successful competition with nearby rival airports) and the much-needed investment in the new passenger terminal and the airfield modernization project.